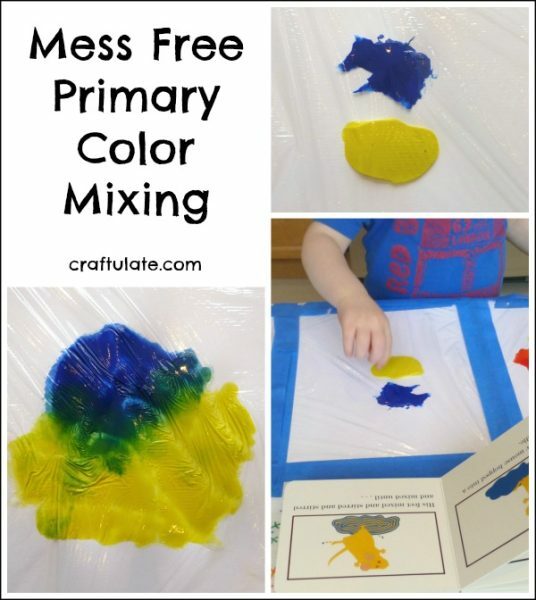 This mess free painting activity was quick to set up and was a great introduction to primary color mixing. 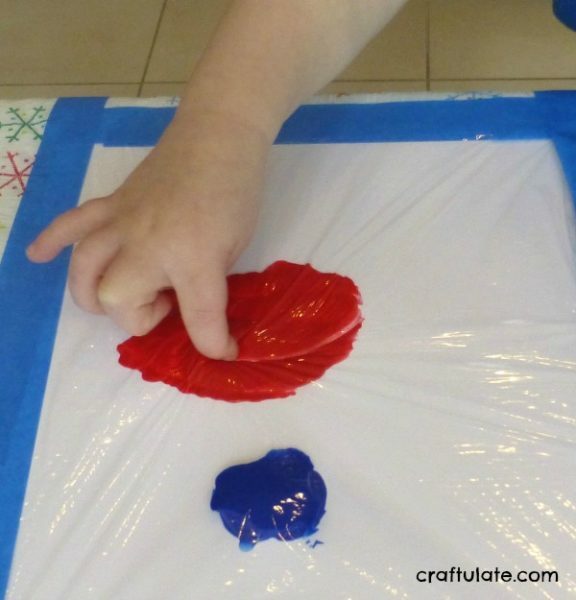 I taped three pieces of card to the table then added puddles of paint – red and yellow, yellow and blue, and blue and red – to cover all the primary color combinations. Then I covered each piece of card with a piece of food wrap, taping the edges down carefully. Then I got our Mouse Paint book and invited F to come and mix some colors. 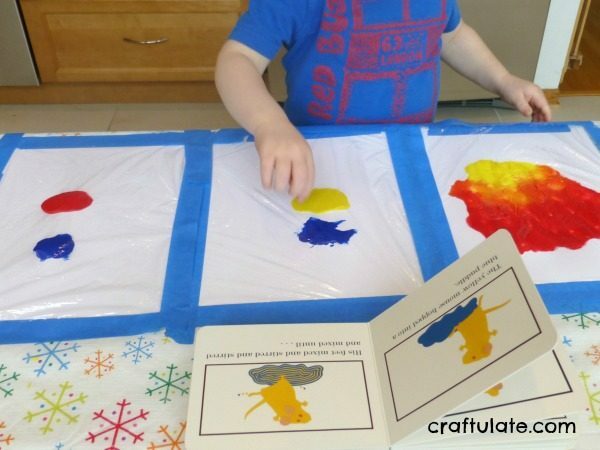 We read the book and when we got to “red mouse in a yellow puddle make orange” I showed him how to push the paint around to combine the colors. We read the rest of the book and went on to make green and purple! Because no paint could escape I didn’t mind having the book out while we painted. 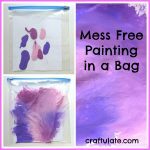 I think if your child had particularly sharp nails and/or was rather determined to break through the food wrap then they could break through to the paint, but we didn’t have any problems! The finished results were rather pretty, and when the paint was dry it had a smooth sheen to it from the food wrap. 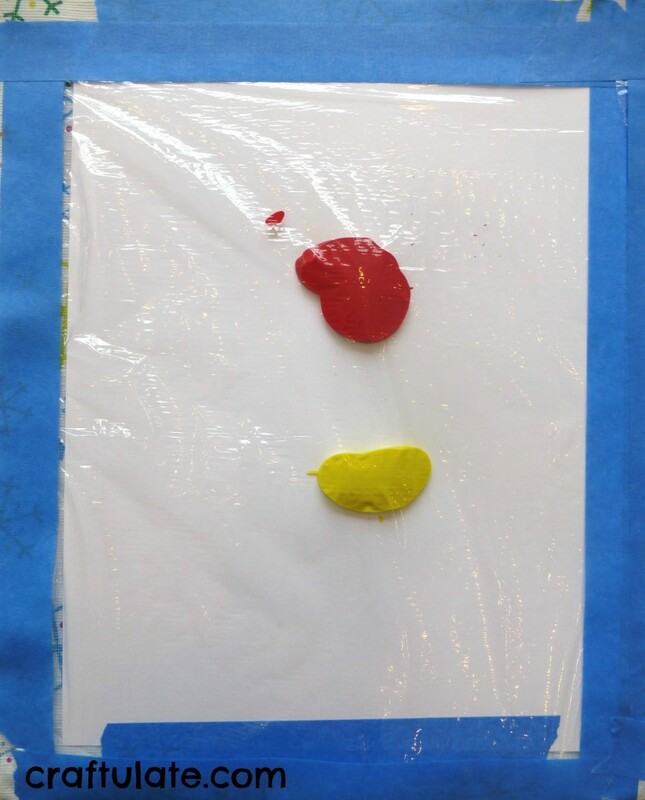 I cut out the paint puddles and made them into a kind of colour wheel. Not the most beautiful – if we do this again I might make them a bit neater! I LOVE this! mainly because my daughter doesn’t like to get her hands messy so we don’t get to do much with paint. I think she would enjoy this though. Can’t wait to try it. I’ll have to find that book. Thanks Tiffiny – I’d love to hear if she likes it! Oh, I love this! 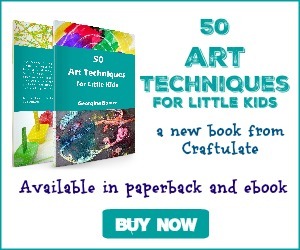 My son has serious sensory issues and won’t touch art materials. We’ve been working on that, but this would be a “safe” way for him to explore! Thanks Tracy. My son will do messy painting but sometimes it’s nice to have these techniques handy so that when he’s all finished I don’t have to spend ages cleaning him up! I’ve ordered the Mouse Paint book this afternoon. 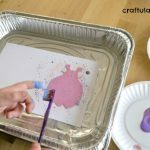 Can’t wait to try this with my nearly 2 year old. Thanks for the great post! That’s great, Lindsay! Let me know how you get on! 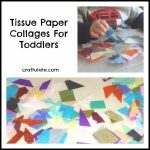 Just tried to do this but sadly my son tried to take the tape up and ripped the cling film >W< he's only 2 though and is in his rough stage D:. Aw that’s a shame, Rachel – I hope things didn’t get too messy?